For the last few years on his travels, Shedman has been building a compendium of artworks that include sheds. It adds a flavour to his gallery visits. Last year, Shedman & son visited Berlin for his son's 18th birthday. 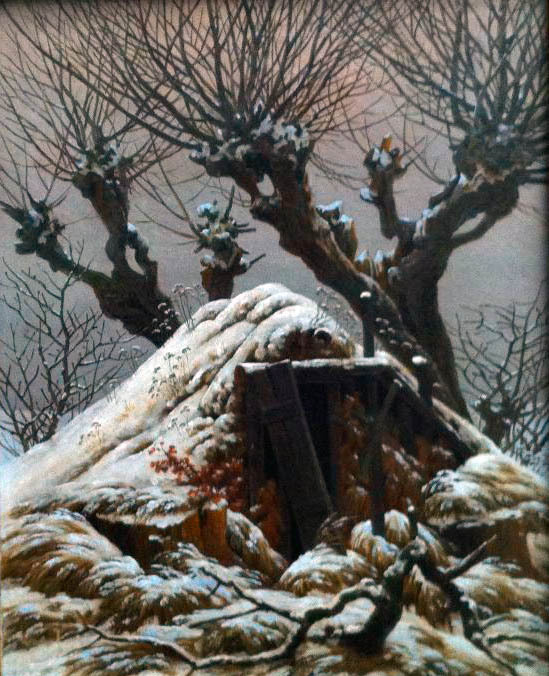 Here's a brief review of some of the pictures featuring sheds in the Gemäldegalerie and the Alte Nationalgalerie. 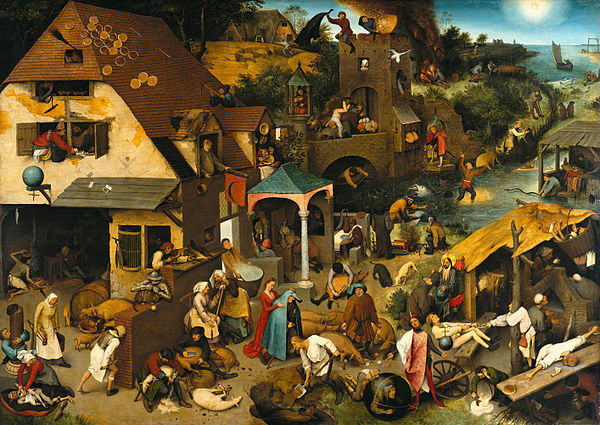 The Dutch Proverbs by Pieter Brueghal the Elder How many sheds? Abraham Bloemaert (1564-1651) obviously liked his sheds. There's a landscape in the Gemäldegalerie by Bloemaert featuring St Tobias and an angel with a fine shed in the background. 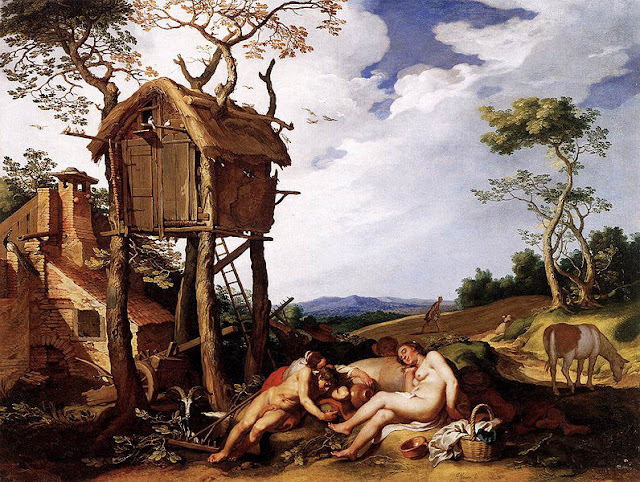 But this picture in the Walters Art Museum in Baltimore, Parable of the Wheat and the Tares (1624), predates The Wire by several centuries and shows a couple out of it on a corner, although the main interest is surely that fine shed tree house. And finally Caspar David Friedrich with a Cabin covered in snow. If you chance upon other images of sheds in pictures online or in galleries please send Shedman a link. And don't forget that Shedman is still compiling the anthology of shed poems - so send your favourites through for inclusion.